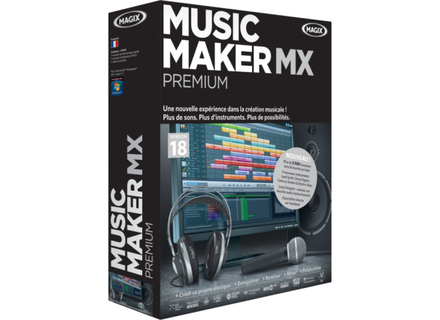 Music Maker MX Premium, General Sequencer from Magix in the Music Maker series. 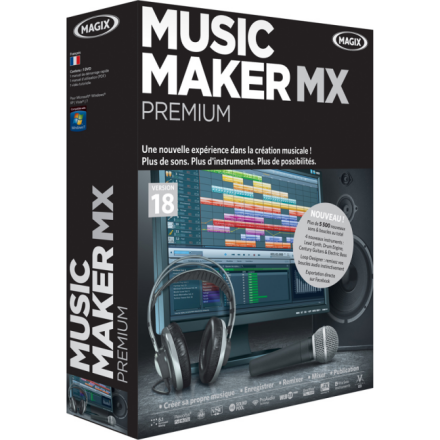 Product replaced by the Magix Music Maker 2015.
windigo's review (This content has been automatically translated from French)" Excellent at this price!" Installation is very simple, just put the DVD and follow the guide. Pre-configured for easy, one can switch to advanced mode, the configuration is too easy. No incompatibilities. a tutorial introduction video, flying over the main functions EEST very well done and allows a quick start. Remains as Google and Blogs, and tutorials on You Tube. Seven pro ° 8G of memory, an HDD temp, well above what the software application. I have not tested the maximum number of tracks, but 24 without problem. I use the Fast Track Ultra and everything works with excellent stability. 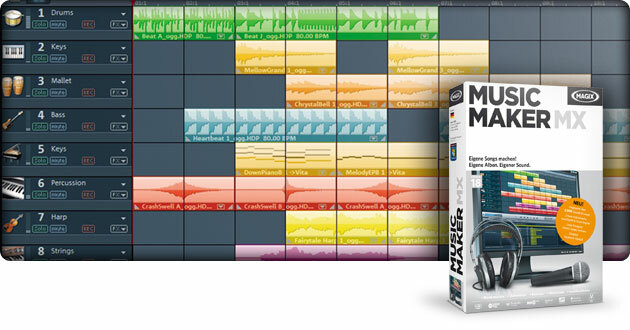 Nearly a year, but I have the range since 2008 which made me use my rarely Cubase versions from 6 Premium MX 18 th so the shutters! Yes I have other audio sequencers and software of all types. 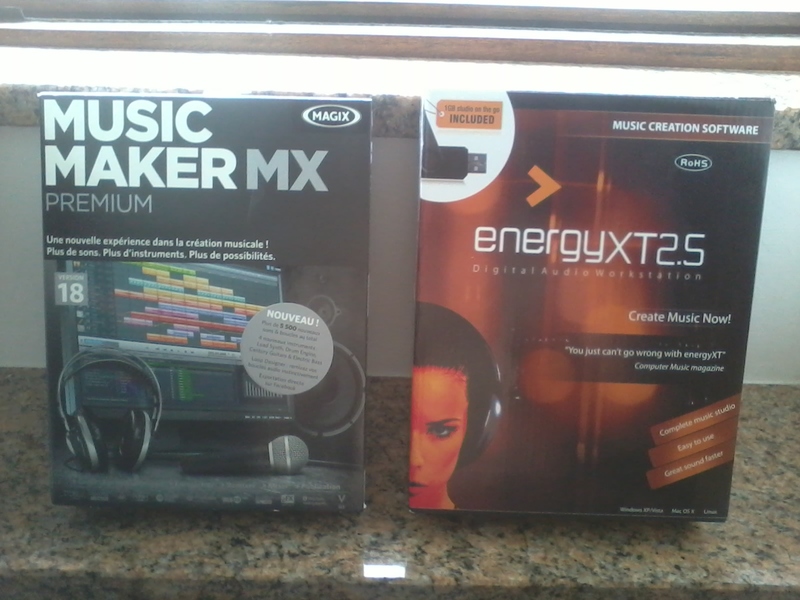 I bought it to complement the studio MX which is a real studio, but Maker provides a very sound bank expanded (5500) and a bass program developed. I recommend it to the award for his quick start and functions as the Elastic is the clone of Hard Tune Antares. A wise choice to follow for beginners and experienced.